In 2001, privacy and data protection professionals were barely a speck on the tech economy’s radar. Time has marched on, and the digital revolution has steamrolled a great swath to new avocations—from digital reputation management to privacy engineering—in addition to carving out new roles in advocacy, policy, academia, publishing, recruiting and a multitude of other areas that have turned their focus to data privacy over the past decade. The IAPP has witnessed every moment of the field’s evolution from a close-knit clutch of compatriots to the burgeoning multinational community it is today. Starting with this issue of The Privacy Advisor, the IAPP is kicking off a series to showcase these new roles. They are less traditionally associated with data privacy, but they are very much part of the future of privacy. 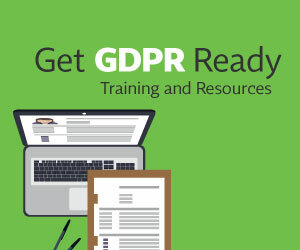 The new privacy professionals are presidents and CEOs, senior product managers, CISOs, sales executives, human resources associates, marketing managers, town clerks, national data protection officers, IT managers, webmasters, data architects, security architects and a great many other roles that touch data in some way. Like Angie Anderson, a human relations privacy manager who conducts privacy training, administers policy development and handles other facets of employee and employment-candidate privacy. Despite the HR title, Anderson says she spends about 90 percent of her time on data privacy matters. Others spend only a portion of their time on privacy. Kimberly Atherton, a marketing data steward at IBM, directs about 60 percent toward privacy, working with the legal department and privacy office to upkeep privacy guidelines and educate fellow employees. “My job requires that I communicate and educate about data privacy either one-to-one, with small groups or through more broad education programs,” Atherton says, adding that even though she’s not 100-percent privacy focused, she considers herself a privacy professional. Victor Clark, CIPP/US, is data privacy’s equivalent to the Major League closer; he spends only a little bit of time in the game, but his role is instrumental. Clark is operations director at FirstData. He self-identifies as a privacy professional who spends about 25 percent of his time on privacy and the remainder on “customer service, the voice of the customer, business process improvements, performance improvements, process management controls, litigation avoidance quality assurance, training and compliance audits.” Clark implemented the privacy program at FirstData’s consumer reporting agency, where he established privacy as a shared priority across all of the company’s business areas. Business area administrators (BAAs) are responsible for making privacy happen. “Each BAA represents their organization at privacy meetings and assists in developing a privacy/confidentiality culture within their organization,” Clark explained to The Privacy Advisor. Anderson, Atherton and Clark are just a few of the new types of privacy professionals the IAPP is seeing more of. Their roles exemplify information privacy’s spread across an increasing array of sectors and into mainstream society. In the coming weeks and months, we’ll introduce you to many others.